DETROIT — More than 15,000 students and 40,000 family members, friends and fans gathered last week for the FIRST Robotics world championships. The four-day event came down to a conclusion Saturday night in front of thousands of cheering fans at Ford Field when teams competed in match finals for the FIRST Robotics Competition and FIRST Tech Challenge world championships. 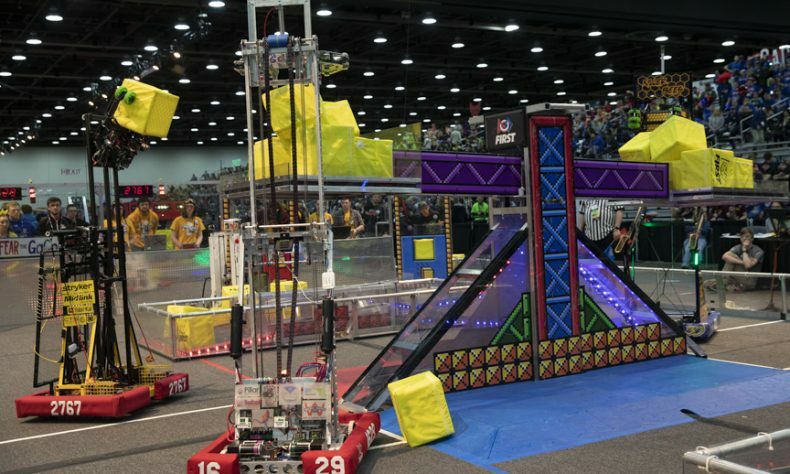 Four teams from Kalamazoo and Clarkston, Michigan; Kingston, Ontario; and State College, Pa., were the FIRST Robotics Competition winning alliance for this year’s game, FIRST Power Up. Teams from Lexington, Mass. and Baden, Pa. were the FIRST Tech Challenge Relic Recovery winning alliance. In Detroit, 700 robotics teams from 37 countries across the four FIRST programs participated. At the conclusion of FIRST Championship, in a video narrated by renowned astrophysicist Neil deGrasse Tyson, FIRST announced a unified season theme for all four programs, FIRST Launch 2019. The upcoming 2018-2019 season will have all FIRST teams exploring outer space in celebration of the 50th anniversary of the Apollo 11 mission that put the first humans on the moon. The season will also mark the 30th anniversary of FIRST as a youth-serving nonprofit and the 20th anniversary of FIRST Lego League. Watch the launch video on firstinspires.org. * Dean’s List Award, celebrating outstanding student leaders: Gabrielle Malson, Team 1506, Metal Muscle, Flint; and Sanket Nayak, Team 4384, Benzene Bots, Troy. * Chairman’s Award, the highest honor given at the FIRST Robotics competition championship, recognizing the team that best represents a model for other teams to emulate, went to Team 2834, Bionic Black Hawks, Bloomfield Hills. * The winning alliance of the FIRST Robotics competition was Team 2767, Stryke Force, Kalamazoo; Team 27, Team RUSH, Clarkston; Team 2708, Lake Effect Robotics, Kingston, Ontario; and Team 4027, Centre County 4-H Robotics, State College, Pa.
* Other FIRST Robotics competition championship finalists were: Team 217, ThunderChickens, Sterling Heights; Team 3357, Comets, Grand Rapids; Team 4967, That ONE Team-OurNextEngineers, Belmont; Team 4130, The Blue Devils, Richmond, Mich.; Team 4003, TriSonics, Allendale; Team 3707, Brighton TechnoDogs, Brighton; Team 70, More Martians, Goodrich; Team 494, Martians, Goodrich; Team 51, The Wings of Fire, Pontiac; and Team 6090, Wayland Wildcats, Wayland. * Engineering Inspiration Award, Carson-Tesla Division: Team 2137, TORC, Oxford. * Autonomous Award sponsored by Ford: Archimedes-Daly Division: Team 4003, TriSonics, Allendale. * Creativity Award sponsored by Xerox: Archimedes-Daly Division: Team 33, Killer Bees, Auburn Hills. * Entrepreneurship Award sponsored by Kleiner Perkins Caufield & Byers: Archimedes-Daly Division: Team 27, Team Rush, Clarkston; Curie-Darwin Division: Team 548, Robostangs, Northville. * Gracious Professionalism Award sponsored by Johnson & Johnson: Curie-Darwin Division: Team 2337, EngiNERDs, Grand Blanc, Mich.
* Imagery Award in honor of Jack Kamen: Curie-Darwin Division: Team 5712, Hemlock’s Gray Matter, Hemlock. *Industrial Design Award sponsored by General Motors: Carson-Tesla Division: Team 4004, M.A.R.S. Rovers, Muskegon; Curie-Darwin Division: Team 1684, The Chimeras, Lapeer. * Innovation in Control Award sponsored by Rockwell Automation: Curie-Darwin Division: Team 910, The Foley Freeze, Madison Heights. * Quality Award sponsored by Motorola Solutions Foundation: Curie-Darwin Division: Team 3707, Brighton TechnoDogs, Brighton. * Highest Rookie Seed: Carson-Tesla Division: Team 7226, Error 404, Lansing. * Judges’ Award: Carson-Tesla Division: Team 2474, Excel, Niles. * Building and Discovery Awards – Team 9819, Purple Panthers, of Birmingham; Team 110227, WBSD Gretchko Team 1, of West Bloomfield Township; and Team 14606, Team Water Emoji, of Detroit. * Cooperative Model Awards – Team 8260, Eaglets, of Howell. * Cooperative Poster Awards – Team 13588, Never Eat Soggy Waffles, of Farmington; Team 14605, Team Ocean, of Detroit; and Team 14607, Team Shark Divas, of Detroit. *Cooperative Research Awards – Team 11470, Jr. Mountaineers, of Iron Mountain. *Creative Model Awards – Team 4756, Blockhead Builders, of Bloomfield Hills; Team 9136, The Beluga Builders, of Ann Arbor. * Creative Show Awards – Team 11618, Team Mighty Dolphins, of Detroit; Team 12506, Aquatic Crocodiles, of Ann Arbor. * Design and Show Awards – Team 3475, Okapi, of Farmington. * Discover and Program Awards – Team 9617, WBSD Jr. Aqua Bots, of Keego Harbor; Team 12442, St. William Aquabots, of Walled Lake; and Team 13589, Aqua Sharks, of Farmington. * Discover and Show Awards – Team 6240, NovaBots, of Novi; Team 11727, Team of Lions, of Detroit. * Innovative Model Awards – Team 7961, Team Tidal Wave 6, of Novi. * Innovative Poster Awards – Team 9614, WBSD Scotch: D2 Destroyers, of West Bloomfield Township. 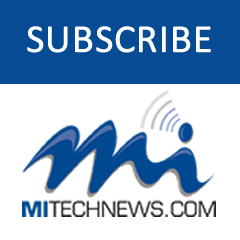 * Innovative Programming Awards – Team 4867, Waterblast, of Midland; Team 14143, Mayim Mensches, of West Bloomfield Township. * Model Design Awards – Team 12442, St. William Crusaders Robotics, of Walled Lake. 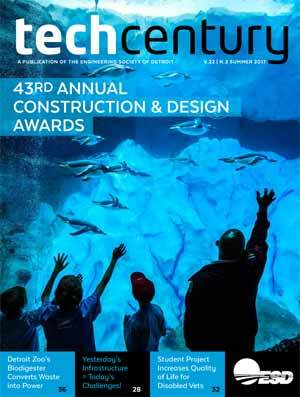 *Programming Design Awards – Team 13587, Turtle Divers, of Farmington. * Research and Design Awards – Team 13775, Daycroft Creators, of Ann Arbor. The 2019 FIRST championships will be held in Detroit April 24-27. To learn more about FIRST, go to www.firstinspires.org.